If you're sick of poor quality files ruining your favourite music, then it's time to go lossless. 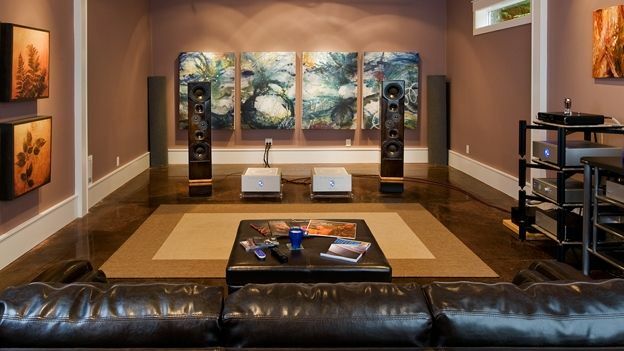 Check out our guide to buying, listening to and enjoying the highest quality audio. Many in the music industry have been waxing lyrical about how the Internet is killing the business. Sales are down, artist revenues are ever shrinking and those at the top just keep getting richer. Enough of all that, what about us listeners, the paying public? Surely it should be all about keeping us happy?! In fact that's probably how we got into this mess in the first place. For the past 10-15 years, the music business has become a supply and demand industry. The demand has been for an ever-faster delivery of music. The general public wants to have all music available to them for download and streaming. Someone over in California once designed this little device that could play music without the need for removable media. The only problem was that storage was limited and delivery of material over the Internet would require small file sizes. The MP3 was born (well actually it was born in the early nineties, but as a serious medium for consumption and the sake of this argument, it really hit its stride with the iPod). Ever since, we have been filling our ever-growing storage options with the same low quality audio. Not really progress is it? We have ruined music for ourselves. If we all sat back and had a good think, we would hopefully all come to the same conclusion of quality over quantity. Well now is the time. Streaming services can carry on sating the desire for music on demand, while the rest of us can campaign for better quality audio downloads. Think about it, 1TB of data storage say, is very easy to come by and broadband speeds can certainly handle the file sizes of lossless audio. By our math that is still a lot of music. OK it might not mean you'll have 10,000's of audio tracks, but then who has time to listen that amount of music anyway? Bitrates and frequencies: What do they mean? Despite their fragility, vinyl provided the best quality audio because it was analogue. The recordings were made on analogue systems, cut onto vinyl and played on analogue systems, not a 1 or 0 in sight. You are essentially recreating an exact copy of the original recorded audio. Digital audio isn't so easy, but became necessary over the desire to find a more durable format of delivery. Digital audio concerns itself of two figures; bit depth and frequency (the amount of samples played per second). Conversion of an analogue sound wave (continuous signal) into digital is done through Pulse-Code Modulation (PCM). The sound wave is divided into samples. The greater number of these samples means a more accurate representation of the original signal. For example the sample rate of CD audio is 44.1KHz. Not just an arbitrary figure, 44.1KHz proved to be the perfect compromise between the limit of human hearing and how much audio could fit onto a 750MB CD. The limit of human hearing, broadly speaking is up to 20,000Hz depending on how old you are and how many nights you've spent dancing next a 10K rig. To represent 20KHz, digital audio needs to dedicate two samples to every cycle of a sound wave. Bit depth contains an amount of information contained in each sample. It basically tells an analogue to digital converter (recording device) how loud the sample is and how loud a signal can be tolerated. It's often referred to as resolution. The higher the bit depth would mean digital clipping is less likely to occur, therefore is a higher resolution and gives you better quality audio. Lossless data compression is a way in which a signal can be accurately recreated without the need to take any information away from the original. Unlike lossy compression, such as MP3, which removes vast swathes of data depending on the quality of the conversion. So when you rip your CD's to MP3, you are potentially removing a lot of data, depending on the settings. If you want better quality than CD audio and get closer to true analogue audio then you be looking for lossless sound files known as Studio Masters, so called as they will be the same resolution and sample rate of the original recorded and mastered session. There is no fixed level resolution, but anything higher than 24-bit can be classed as a Studio Master and it can be anything up to 192KHz which is currently the highest rate digital recording hardware and software can handle. The raw file type of choice in the studio is WAV or AIFF (traditionally Windows and Apple formats respectively, though no longer exclusively). There are many lossless codecs out there, the most popular being FLAC (Free Lossless Audio Codec). It is the most widely used and you'll find nearly all media players can read FLAC files. Some media players may require third party software to help them out. iTunes for instance, will require an app called Bitperfect to play ALAC (Apple Lossless Audio Codec) files. Whilst there is no difference in sound quality between FLAC and the uncompressed formats of WAV and AIFF, FLAC files can handle metadata and are much smaller in file size. The key to successful lossless file conversion is to only convert from a true analogue source or another lossless compressed file. It is no good taking your MP3 library and converting it into FLAC files; you can't add information that simply isn't there. Lossy compression and lossless compression don't mix. There has been a long-standing debate as to whether the human ear can tell the difference from CD Audio to MP3 at all, let alone higher resolution audio. After all, this is quite a subjective issue, not least for the studies in Psychoacoustics. God forbid you are too young to own CD's, or you have ruthlessly sold your entire CD collection after the big MP3-rip of 2004. So where do you turn? You're going to need to source this stuff from elsewhere. As always, the Internet is your friend. There aren't all that many sites out there offering lossless audio for download. And the number of tracks available isn't going to worry iTunes anytime soon, but it is a number that is always growing. HDTracks, Beatport, Addictech, Junodownload, Musiczeit are all good starting points for HD audio. So you now you have these lovely uncompressed/lossless songs, how are you going to play them? The simplest way is straight from your computer, but you'll want more than that. If you have an existing HI-Fi that you have lovingly held on to for years, then now is the time to drag it into the 21st century. The most common solution is the combination of a DAC (Digital to Analogue Converter) and a music streamer. The latest gear will be able to handle most file types and bit rates. The idea is that you store your hi-def audio either on your computer or an external hard drive. Alternatively, get a NAS (Network Attached Storage) drive to eliminate the need to use your laptop every time you want to listen to music. A music streamer will then be able to read the files from the NAS drive leaving the DAC to complete the chain. From here you can hook up any existing gear, or start building up a brand new system. Should you wish, you can move away from the traditional PCM format and try DSD (Direct Stream Digital). It uses an entirely different way to recreate sound waves compared to PCM audio. Instead of sampling slices of the original audio, it is a constant stream of single bits that are either on or off. The results are phenomenal, sample-rate comparison start at 64 times the speed of CD and can go up to 128 times faster. DSD is the closest there is to analogue audio, which makes it the choice of your most ardent audiophile. Sometimes referred to as 1-bit audio, DSD files will require extra conversion and hardware. There are free apps out there that can do the job. Foobar on the PC is a good do-it-all hi-def audio player/converter. Whereas, Audirvana is a popular choice for Mac OSX, but for those of you who wish to integrate this set up with iTunes then go for Pure Music. Some hardware manufacturers will pair their devices with their own software, such as Korg with Audiogate.